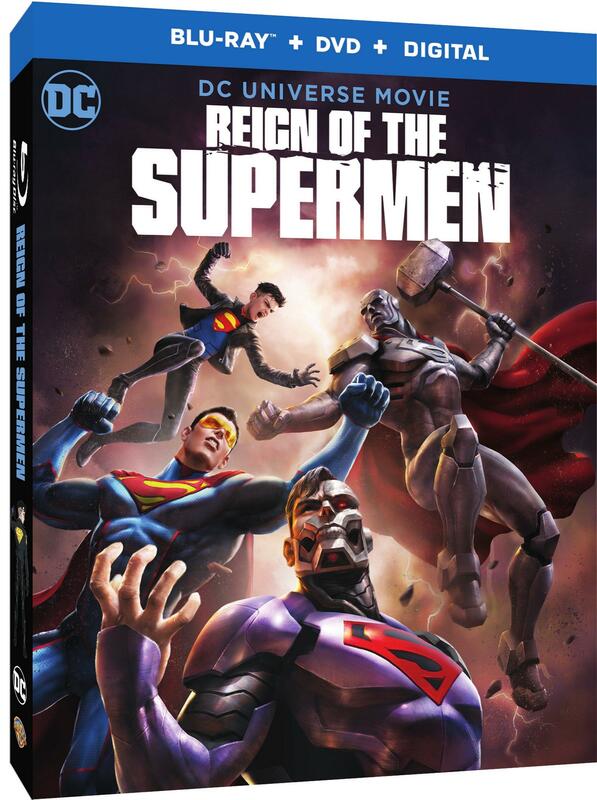 Warner Bros. Home Entertainment has announced Reign of the Supermen, the sequel to the The Death of Superman animated feature, will hit digital media on January 15, 2019 and physical media on January 2019. 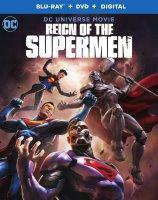 Reign of the Supermen finds Earth’s citizens – and the Man of Steel’s heroic contemporaries – dealing with a world without Superman and the arrival of four mysterious individuals all claiming to be the ultimate hero. 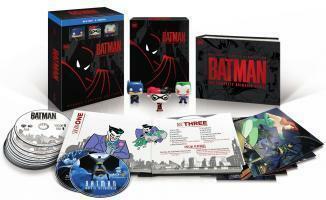 Complete press details, along with a trailer and package art, can be found below. -Lex Luthor: The Greatest Nemesis (Featurette) – Evil Genius. 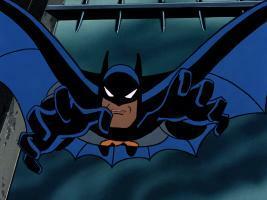 Archenemy of Superman. Misunderstood hero? 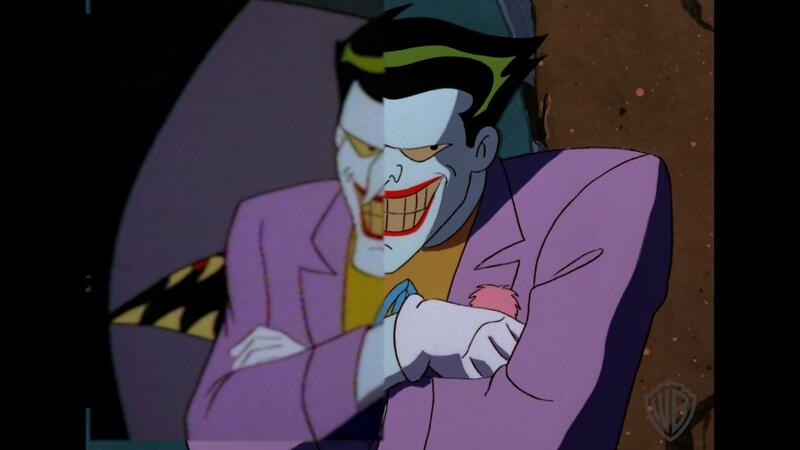 This documentary will look at one of the most renowned villains in literature and debate his ethics and motivations throughout his publication history and as the calculated anti-hero of Reign of the Supermen. 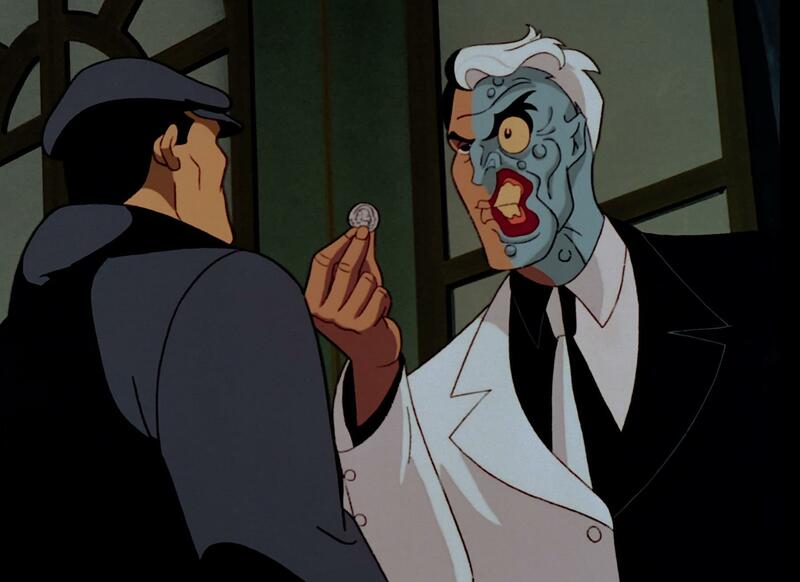 We’ll also explore how Lex Luthor is emblematic of technology without limit, often demonstrating what effect unbridled power, resources, and influence can have on humanity. 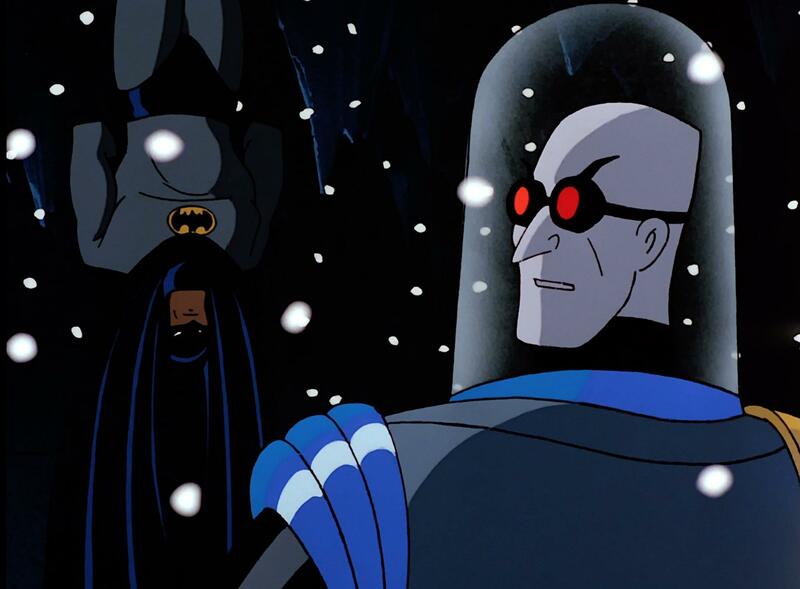 We’ll discuss the affinity for storytellers to associate Lex Luthor and with the field of science as they challenge our morals and integrity with real world issues such as cloning and what can happen if science fiction became science reality. 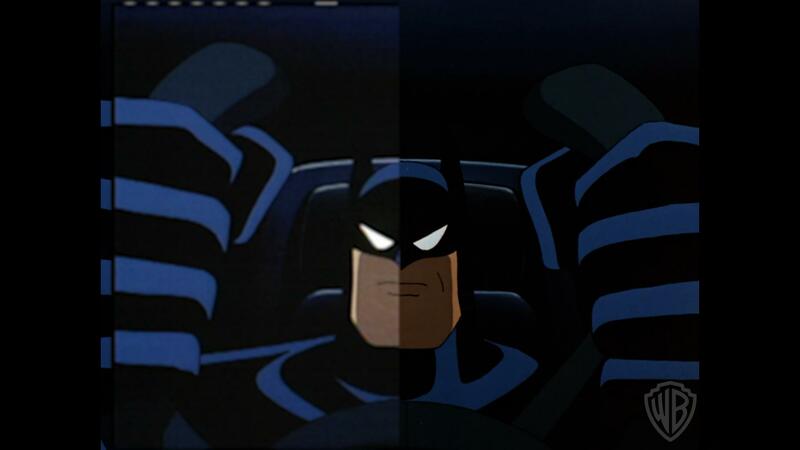 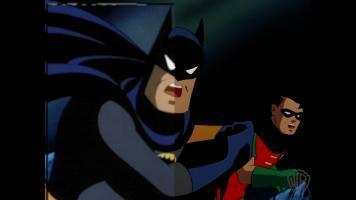 -A Sneak Peek at the next DC Universe Movie, Justice League vs. 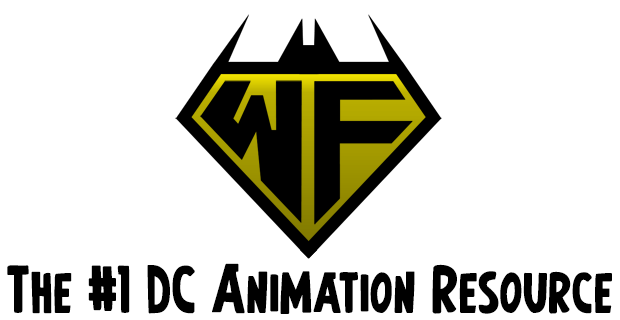 The Fatal Five – An entertaining, insightful exciting look at the next animated film in the popular DC Universe Movies collection. 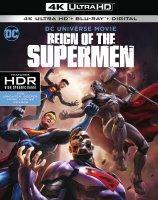 Reign of the Supermen will also be available on Movies Anywhere. 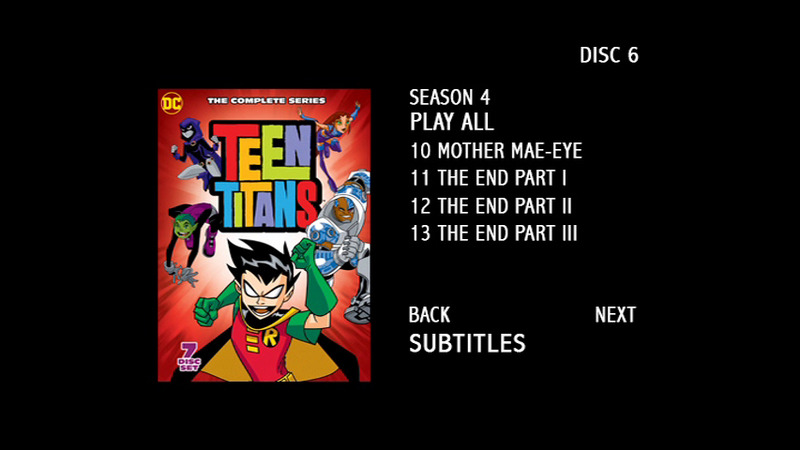 Using the free Movies Anywhere app and website, consumers can access all their eligible movies by connecting their Movies Anywhere account with their participating digital retailer accounts. 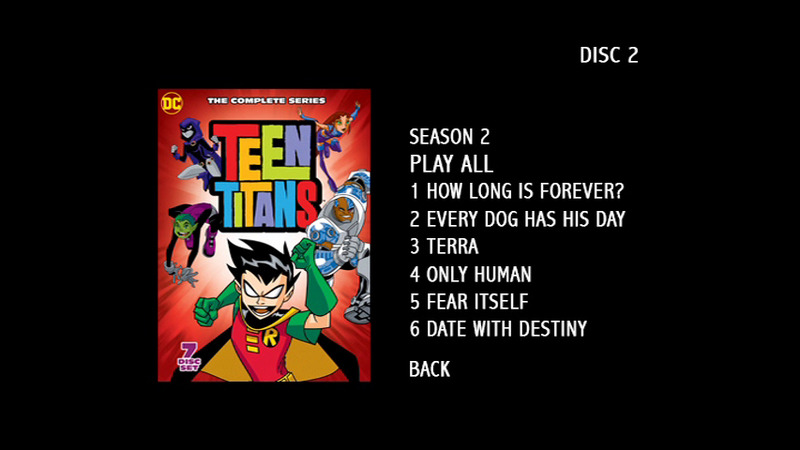 Fans can also own Reign of the Supermen via purchase from digital retailers beginning January 15, 2018. 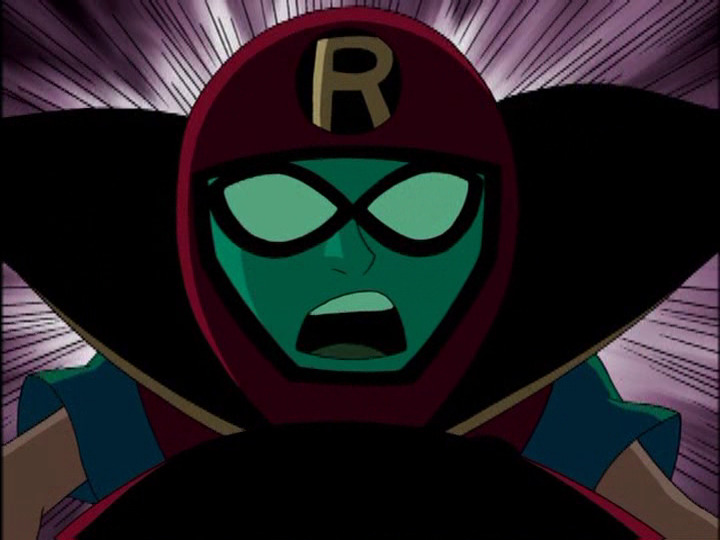 Stay tuned for additional updates on Reign of the Supermen right here at The World’s Finest. For coverage on The Death of Superman – including reviews, media and bonus content – check out The World’s Finest The Death of Superman subsite. 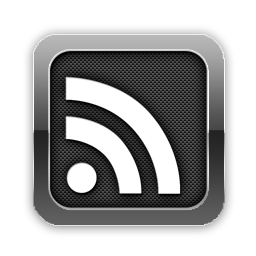 Click on the link below to discuss this news. The World’s Finest has a look at the package art and menu system for the recent Teen Titans: The Complete Series seven-disc DVD release from Warner Bros. Home Entertainment. The title is billed as repackage content by the studio, meaning no new content is added and includes the same video and audio transfer quality as previous home video releases. 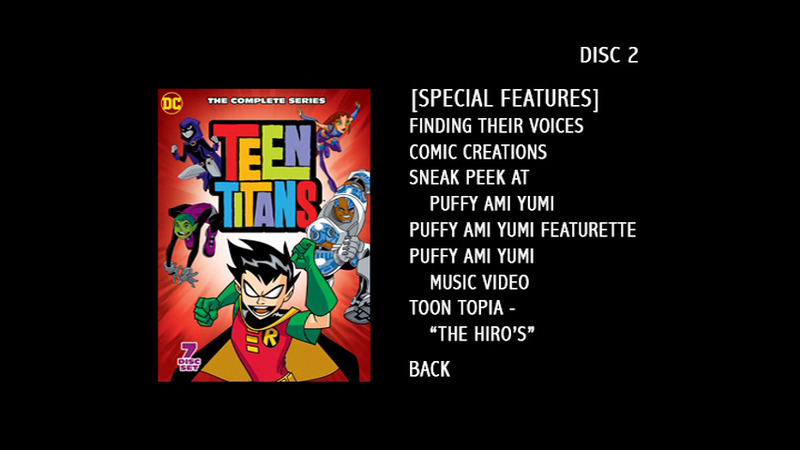 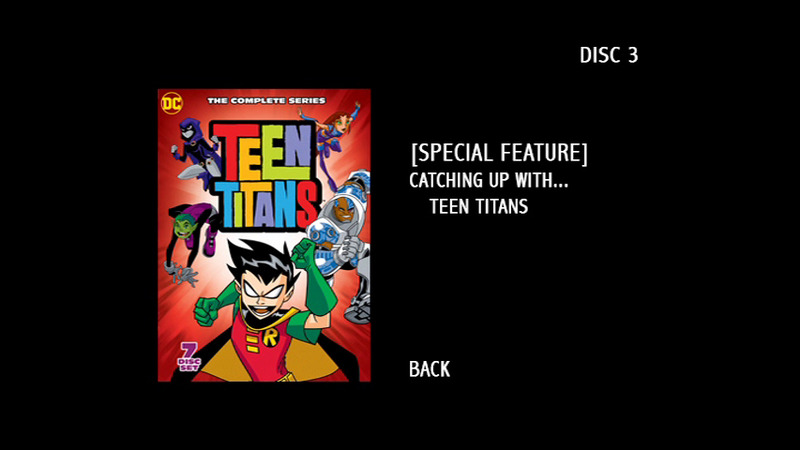 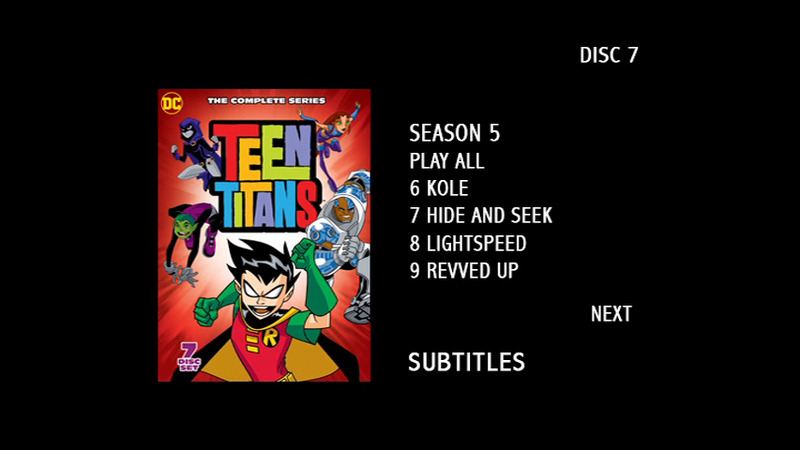 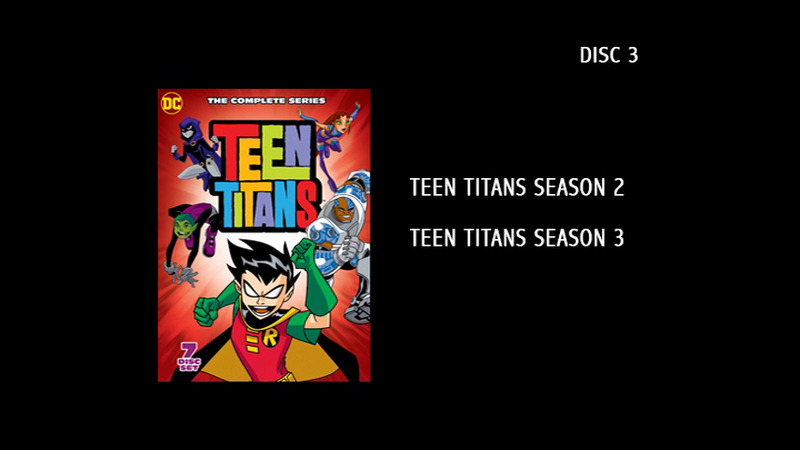 Teen Titans: The Complete Series, which hit shelves on October 9, 2018, collects all the episodes and bonus content from the individual season releases and spreads it all out over seven DVD discs. 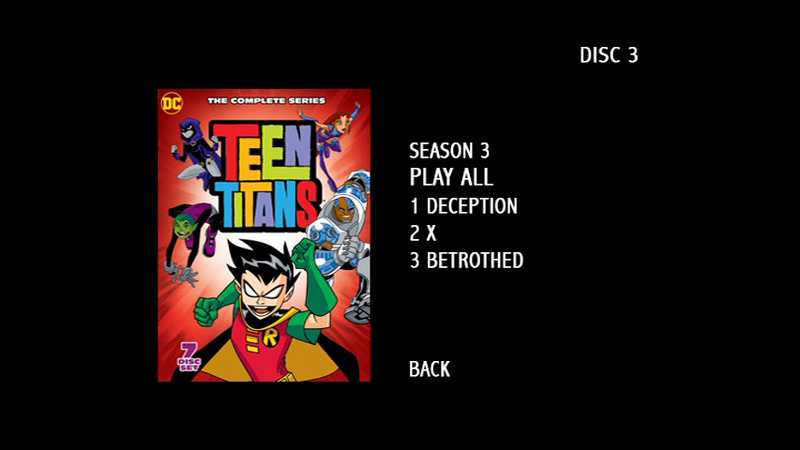 Click on the thumbnails below for a closer look at the set, which also includes screengrabs from the select episodes. 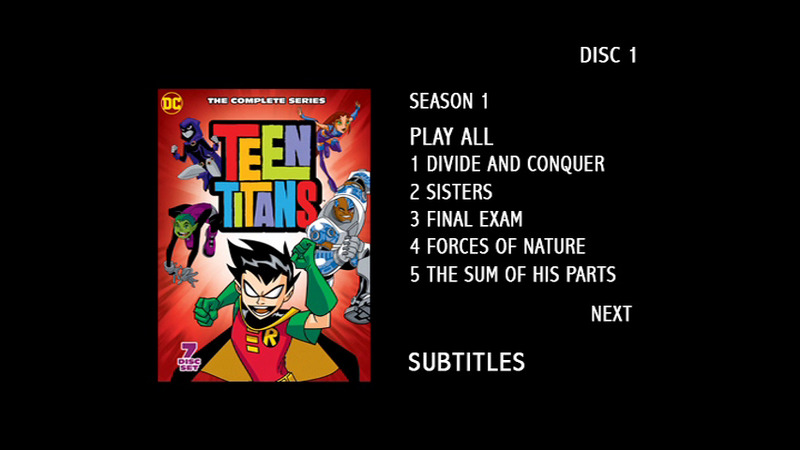 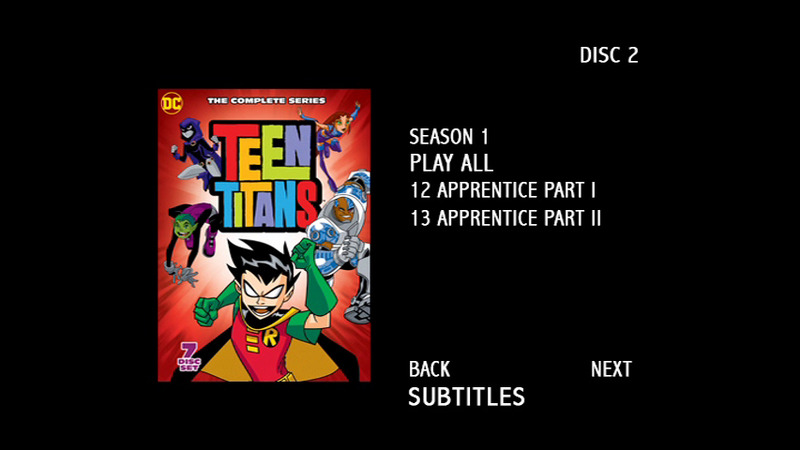 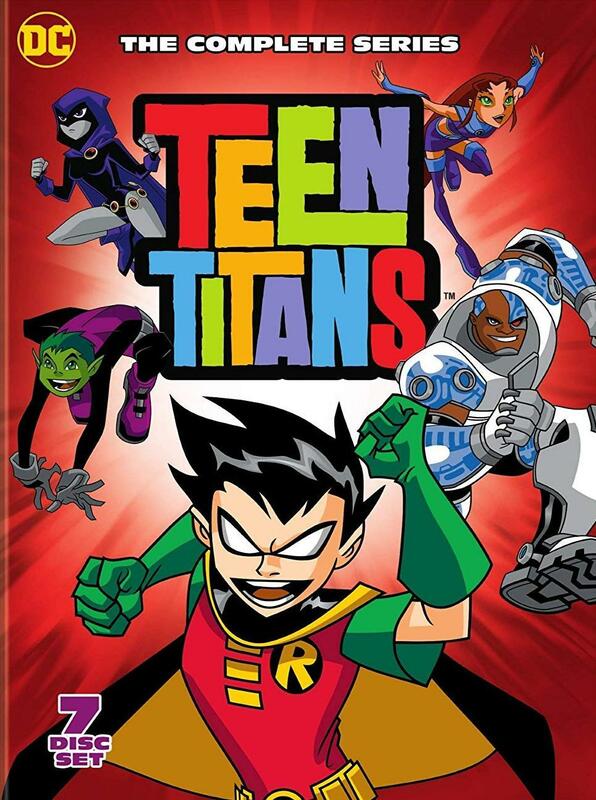 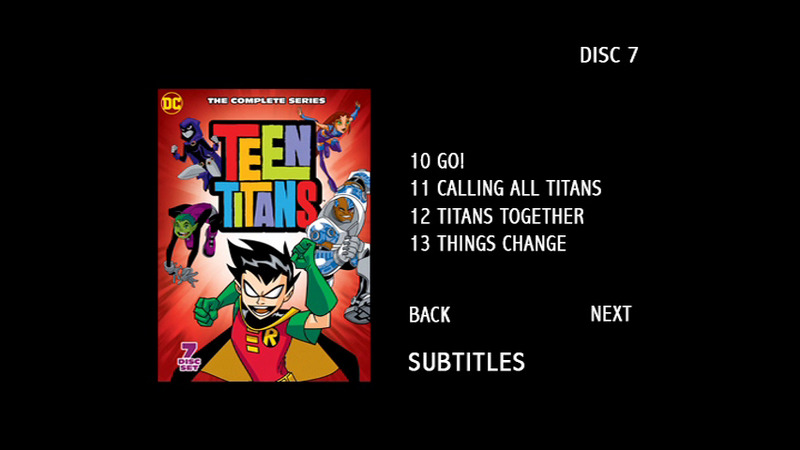 Teen Titans: The Complete Series, which collects all the episodes and bonus content from previous DVD releases – including audio and video transfer quality – in one seven-disc DVD set, is now available through traditional and digital retail outlets. 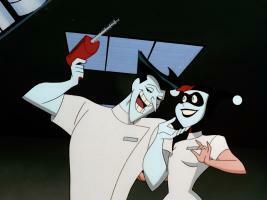 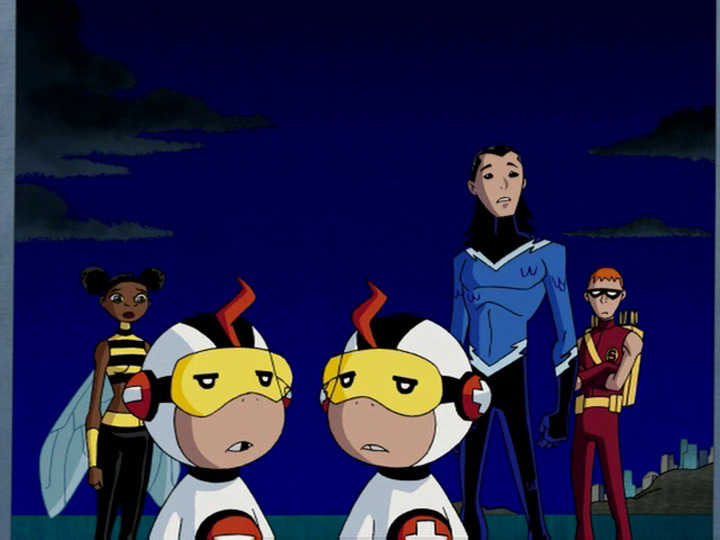 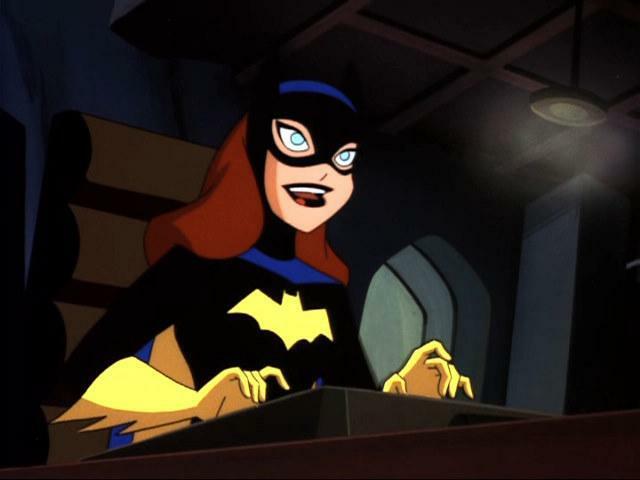 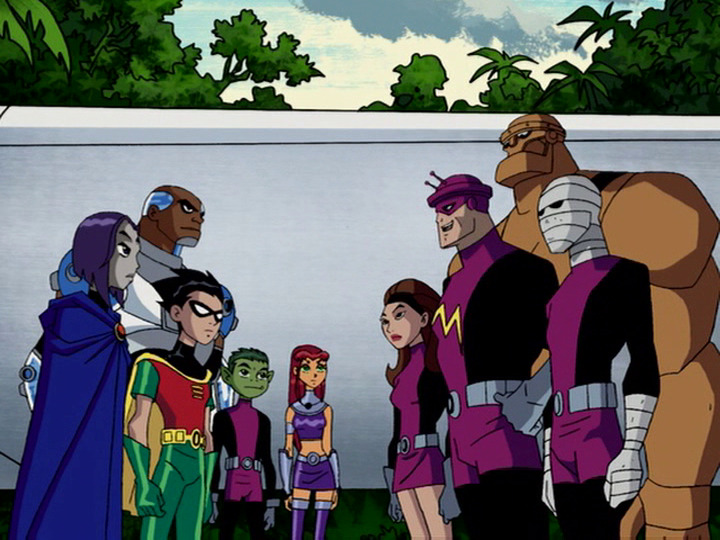 Stay tuned for further updates on Teen Titans, and much more, right here at The World’s Finest. 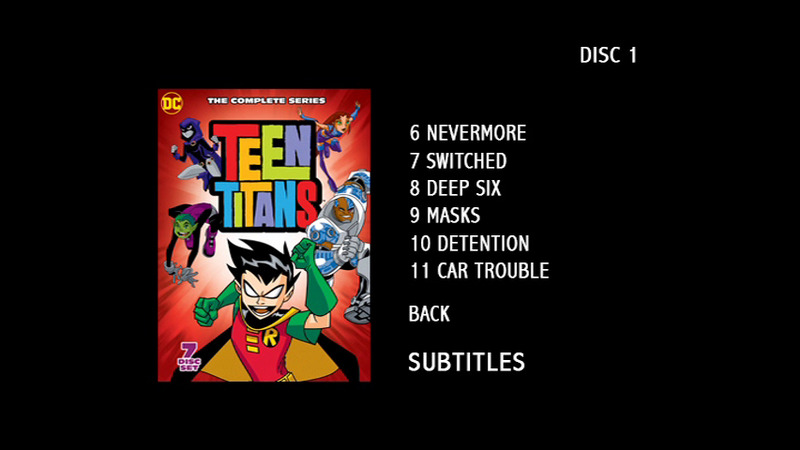 Also of note, Warner Archive released the first season of Teen Titans to Blu-ray in January 2018. 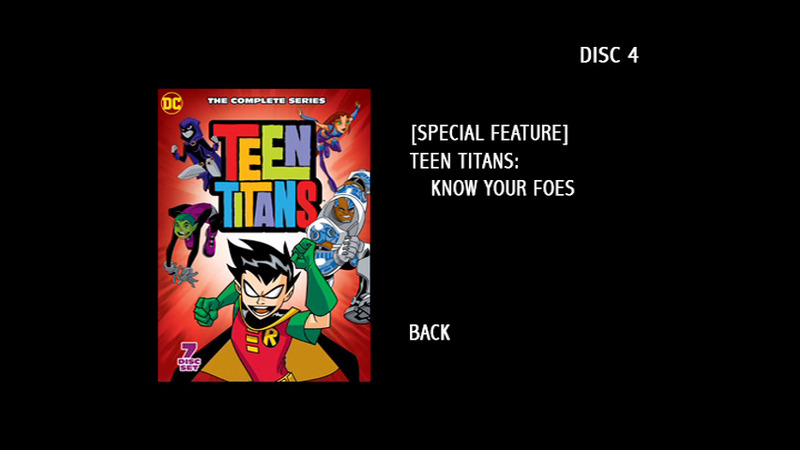 To check out The World’s Finest review of Teen Titans: The Complete First Season, click here. 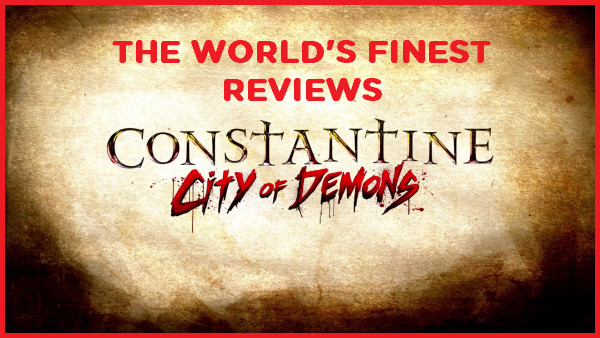 The World’s Finest has published its review of the Constantine: City of Demons – The Movie animated feature, now available to own on Digital HD, 4K Ultra HD Blu-ray and Blu-ray. 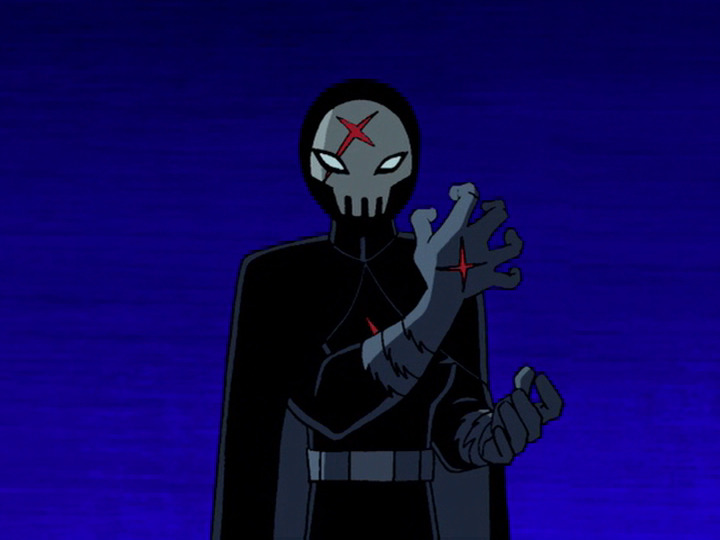 In short, While sometimes hampered by the limitations of its budget, Constantine: City of Demons – The Movie exudes confidence in both its feature character and the story it wants to tell, and even that is bolstered by having actor Matt Ryan back in the trench-coat as DC Comics’ top occultist. 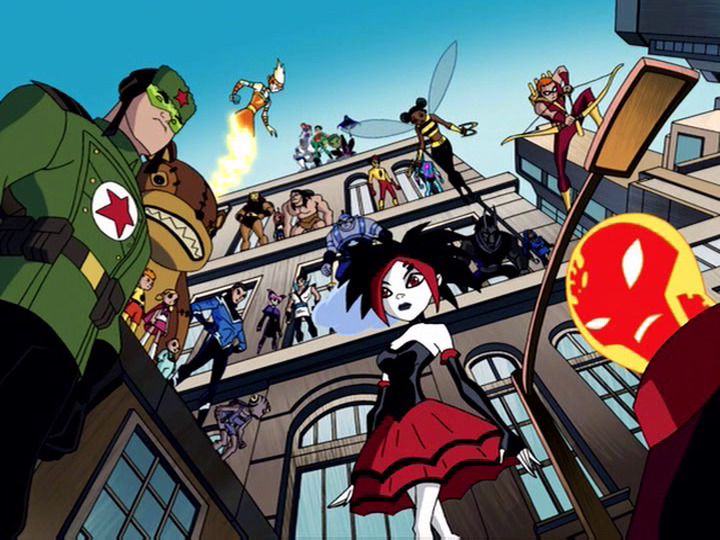 It’s a great showcase for the character and builds nicely on his ever-growing cult following. 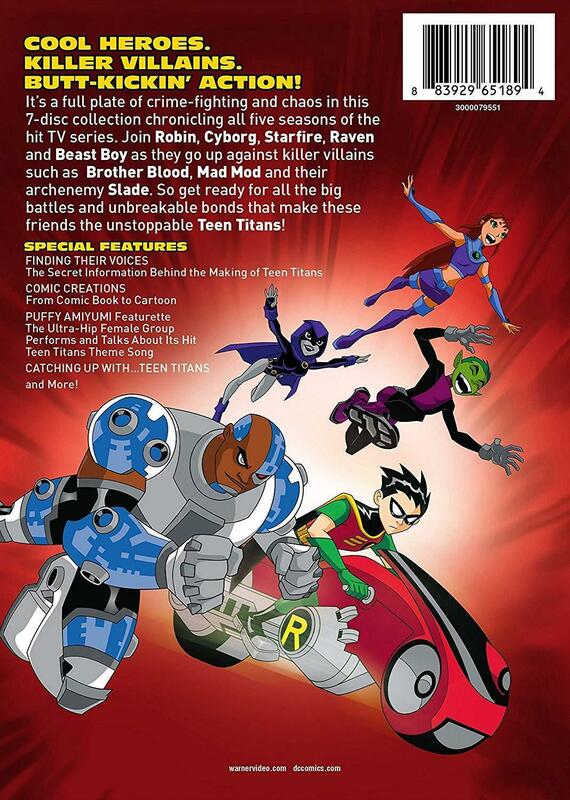 To read the complete review, click on the image below. 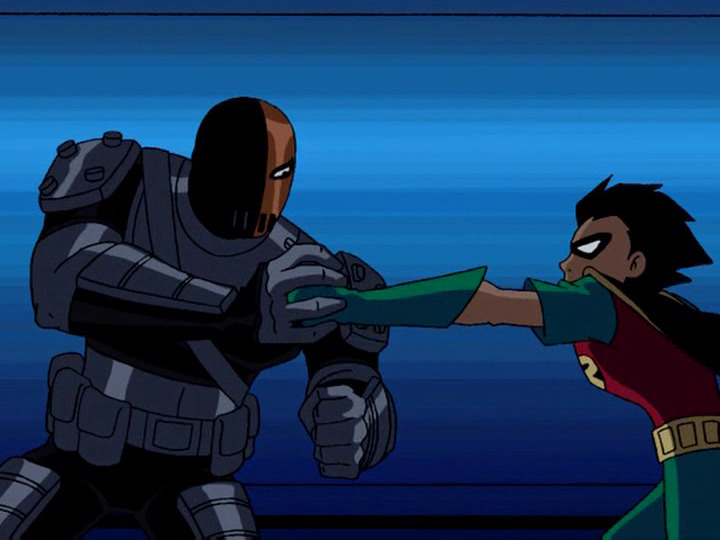 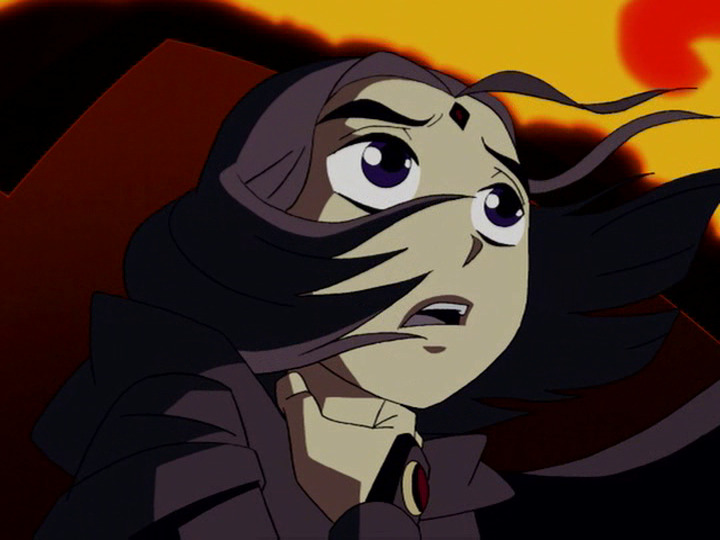 Warner Bros. Home Entertainment has also provided a video clip from Constantine: City of Demons – The Movie, which features Constantine (voiced by Ryan) and Chas (voiced by Damian O’Hare) discussing the possibility of recruiting the Aztec God Mictlantecuhtli to assist in their quest to save Chas’s daughter. 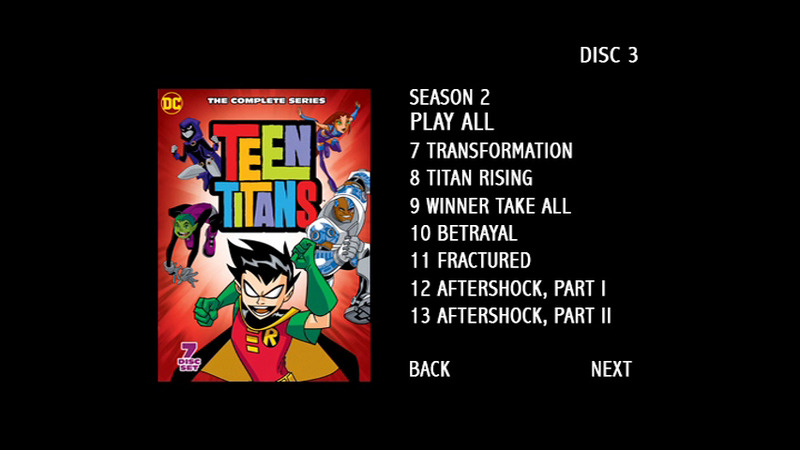 View the video in the player below. 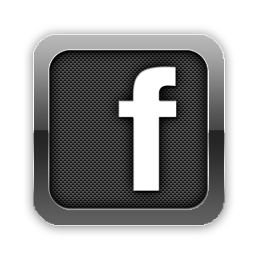 Constantine: City of Demons – The Movie is now available to own on Digital HD, 4K Ultra HD Blu-ray and Blu-ray. 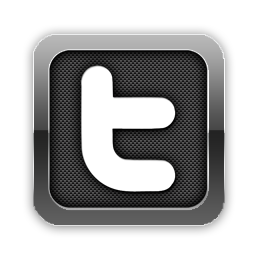 Stay tuned for further updates right here at The World’s Finest and on Twitter. Discuss Constantine: City of Demons – The Movie at The DC Animation Forum!